Mother’s Day is here! Whether you enjoy a close, loving relationship with your mom or, you know, NOT, Mother’s Day is an important holiday. How will we be spending our time and money this Mother’s Day? Well, according to an article published by the National Retail Federation, entitled “Families Look to Shower Mom with Gift Cards, Brunch, Apparel Items This Mother’s Day,” it looks like we intend to shower mom with gift cards, brunch and apparel items this Mother’s Day! Here are the stats! How about you? What are your plans for your mother, grandma, wife, etc? Let us know over at the MindField Online Facebook page. Have a great weekend, and a terrific Mother’s Day! And here are some more fun stats for Mother’s Day! Yes, children of mothers, Mom’s Day approaches (2 days, gentlemen.) 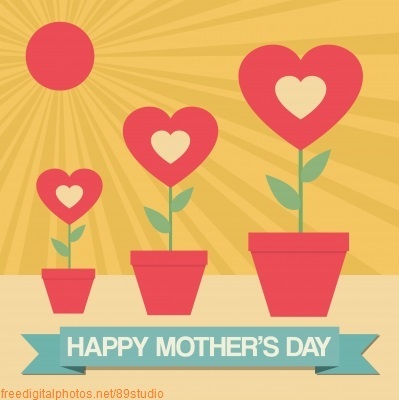 Whether we have planned well in advance, or begin scrambling right after reading this post, recognizing Mom is a wonderful tradition – and a big consumer event! Awww, that last one is a bit sad. Please don’t be that dope whose mom has to buy her own flowers! But seriously, what are you planning for Mom’s Day? We want to know! Have a great weekend and a HAPPY MOTHER’S DAY! !